He will officially be the first male guest judge to sit on the panel in replacement of Paula Abdul. The latest celebrity who will assist Simon Cowell, Kara DioGuardi and Randy Jackson in filtering people with singing talent is none other than Joe Jonas. The middle of Jonas Brothers is confirmed to join the judges of “American Idol” in the Dallas, Texas audition which will be held on Monday, August 24. His representative has confirmed to People about the stint and Joe is thus the first announced male guest judge in the show’s ninth season. Victoria Adams, Mary J. Blige, Katy Perry and Shania Twain are the names which have been announced earlier to appear as the other guests who fill in for Paula Abdul. Additionally, the show’s first winner Kelly Clarkson is also said coming as guest. Like Perry’s, her schedule is not yet confirmed but it was reported that she will be behind the table throughout the callback episodes filming in the next few weeks. In another development, a picture of Victoria Adams as an Idol judge has come out. The former Spice Girl member reportedly fitted the panel so well and threw her comments in sharp tone. “I don’t want to shatter anyone’s dream, but there’s nothing wrong with constructive criticism,” she said. 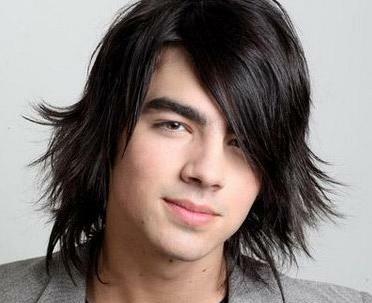 Meanwhile, Joe Jonas recently celebrated his 20th birthday. More than 500 runners gathered at Sunset Station to participate in the iWin Joe Jonas Fun Run, benefiting Special Olympics Texas and the Change for the Children Foundation. Joe Jonas, one third of pop super-group the Jonas Brothers, led the run.